New US Tour Dates announced-See Below! I have been listening to “Take Me to Church” over and over and I have been awestruck. I just couldn’t for the life of me figure out what was drawing me in. Then, a light bulb went off and I realized there is a sound that is definitely unique, but does anyone else hear Elton John? I think of Elton’s early music and there is a connection that I think can’t be mistaken. Go on and listen again! 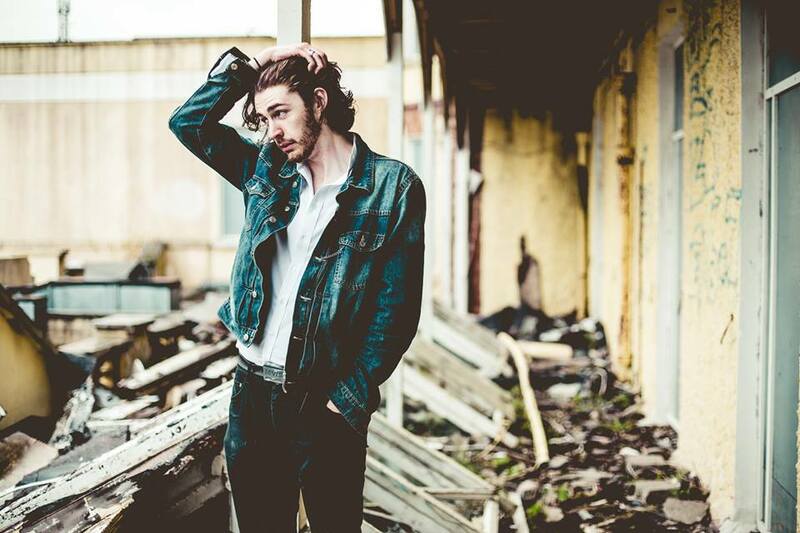 An Irishman with a soul/blues background, Andrew Hozier-Byrne is one talented musician/vocalist. Born on St. Patty’s day is about as Irish as one can get, but there is something so worldly about this song. Listen for yourself, if you haven’t already heard him. I believe radio may already be playing him on repeat. So I am adding another tune of his, “Like Real People Do”. Maybe you will hear how talented and varied he is and appreciate it. If so, like his facebook page, Hozier. New tour dates this spring! YAY! Yes — agree about the early Elton reference.. I thought I was the only one, when I first heard the song I immediately thought of Elton! I have asked several people, and not one agreed with me. I am a total classic Elton John fan, so I guess I have an ear for him….love Take Me to Church. I did a Google search for Hozier sounding like Elton, and I am so glad I did! Thanks for writting about what I thought was just in my head! You are my music listening sister! I hope you might watch him perform on Saturday Night Live tomorrow night! I will be watching and can’t wait! I’m with you Lorie……the exact same thing happened with me. Glad that there are others who can hear it too. I was shocked when I discovered it was not Elton John. I definitely heard Elton John as well. In fact, isn’t there an Elton song that sounds very much like the first several lines of the chorus of Take Me To Church? I have listened to many Elton songs trying to find the exact part, but cannot pinpoint it. Any idea? It’s almost clear in my musical memory… but I can’t quite get it!! Elton’s discography is so vast, it would take a long time to determine if there was one song that was that similar. I was thinking more in terms of the piano and depth of both voices and how similar those are. Could it be Someone Saved My Life Tonight? Oh, wait, scratch that….give me a bit to listen to my collection, I know it, Bailey!!!! The beginning instrumental in “Have Mercy on the Criminal”…but I don’t think that is it! I also want to say Madman Across the Water. Thank you all for mentioning these Elton songs! Ever since I heard Hozier’s take me to church I have been trying to figure out which Elton song it so closely resembles. And now I hear all these songs in Church, and see why i couldn’t pin it down to just one! I’d like to add “funeral for a friend/love lies bleeding” to the list. I too thought immediately of Elton when I first heard Hozier’s song and thought Elton was releasing a new rendition of an old song. My kids looked at me like I had ten heads! 😉 Funny how Elton had little influence on Hozier and their styles end up so alike. And we can’t forget Bernie Taupin’s role in all this! I first heard a piece of this song as part of a commercial for a TV series and thought immediately that the voice and singing style were very similar to Elton John’s. Then I saw Hozier singing live on another program and also realized that the song’s style resembled Elton’s songs – a mix of different songs, not one in particular. Haven’t heard an enthralling song like this in a very long time though. When I first heard the song I immediately said to my boyfriend that it was an Elton John song being redone. I am surprised now to find out that it is not. I too have gone looking for the song that is very similar to it, and I have not yet found it. I agree that there is an Elton John song I remember hearing long before now. I am 40 years old so it might have been when I was a child. I will keep looking until I find it but I’m certain the song exists!!! Hosier’s song reminds me very much of the potency and chorus of Elton’s song “I believe in love”. Wow, Doug that is so very similar. Thanks for sharing. I love listening to all of the Elton John tunes.He is such a talented singer/songwriter/musician. He spends some time in Atlanta and lives around the corner from me. I have seen him driving around in his little red convertible. I wonder if he thinks Hozier is similar to his sound….. The chorus is very similar to Goodbye Yellow Brick Road. At least that’s what I hear. It sounds more like Elton from the 80’s. Believe and The One. Listen to them. Wow, you are so right about, Believe and The One…. Haunting how similar their voice emphasis, intonation, and resonance seems to be. Thanks for finding those! OMG when I heard this song I actually thought it WAS Elton. I just cant think of the song it reminds me of. arrrrrrgh!! Vince…Hopper nailed it (see earlier comment). Yes! I thought he sounds like Elton too! Glad to know others think so too. I thought it was new Elton John when I first heard Hozier and he’s quickly become a new favorite. Love the uniqueness of his voice. Right! I just saw Alex Clare (from the UK) in concert and he has that same amazing tone. I think you should check him out too. Hi, I also searched on Hozier sounding like Elton – Thank you guys for being here – my boyfriend didn’t see it either and it’s been driving me crazy because I thought it was so obvious. I thought maybe Elton wrote it! His voice and style also sounds so similar. I was thinking the song sounds most like Elton’s Empty Garden. Thank you for checking out my music blog. Come listen anytime! With all of the submissions I get, I definitely hear past influences. What I love and appreciate the most is when they take that and build their own sound and make it better! i totally agree that his sound is very similar to Elton. I would love to see an interview where he is asked if Elton had an impact on his music. Did he write this or was it written by someone else? Cool, thanks for sharing and worth the read. Actually thought Elton John was making a comeback when I heard this song! Thanks for stopping by! Lots of great music to celebrate, I hope you’ll come back often! I find that the chorus sounds very similar to an older song but I can’t seem to find which one it is. I do not believe that it is by Elton John but would anyone know what I am talking about? ( https://www.youtube.com/watch?v=MYSVMgRr6pw ) From 00:56 to 01:06, and then again from 01:11 to 01:21. My daughter has been singing this for days. I heard the song in full for the first time today and thought the artist must be singing with Elton. I was wrong – but I can see I’m not alone in my thoughts! It is amazing that Hozier and Elton John are playing at Music Midtown in Atlanta in the fall! A chance to compare their styles and enjoy them side by side. Maybe we can encourage a collaboration for a song? Power to all of the followers that love both artists! If your name is Carrie you get extra cool points!!! Every CD I have from Elton I pulled out and listened to, not one of those tracts sounded like the one we all know from Hozier. Like people have said, they both have similar sounds. I did however find some good music on the old CD’s I forgot about a few years ago. In the process of looking, I re-found some of the cool songs I love. Isn’t it fun to listen to old CD’s again? It’s so interesting that an artist can have such talent and yet also peak our curiosity enough to research and discuss their similarities to talent from the past. Jim, I would love to know which CD’s were your favorites.